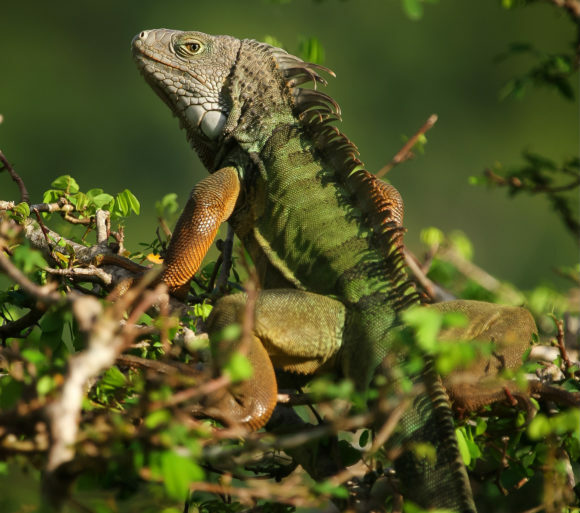 Share the post "For Exotic Pets, the Most Popular Are Also Most Likely to be Released in the Wild"
The green iguana is a common exotic pet that originates from Central and South America and has been released into the wild in the U.S. Photo: Matthew Sileo. Among pet snakes and lizards, the biggest-selling species are also the most likely to be released by their owners – and to potentially become invasive species, according to a Rutgers study published today in the Journal of Applied Ecology. The study by Rutgers University–New Brunswick ecologists, including Julie Lockwood, professor in the Department of Ecology, Evolution, and Natural Resources, provides new clarity on how and why the exotic pet trade has become the primary venue by which reptiles and amphibians arrive in non-native lands, the first step to becoming ecologically damaging invaders. 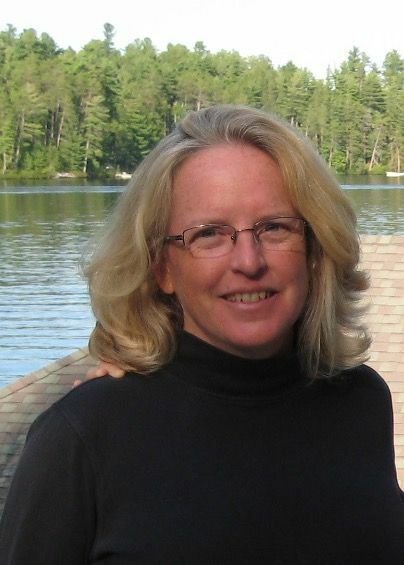 Prof. Julie Lockwood, Department of Ecology, Evolution, and Natural Resources. The researchers documented 1,722 reptile and amphibian species in the U.S. exotic pet trade from 1999 to 2016. They compared the list with previous research and data from a citizen science project that records sightings in the U.S. of non-native species. They found that the most popular pets – those imported in high numbers and sold at low prices, usually when they’re small and cute – are the most likely to be dumped into the wild later on. Released exotic pets can harm native wildlife through predation, competition for food and disease transmission. A prime example is the Burmese python, which grows up to 18 feet long and has been invasive in Everglades National Park since the 1990s, causing severe declines in native mammals and birds. The study suggests providing potential owners with information about the future growth and lifespan of an exotic pet, along with the ecological damage that can result from releasing them, and a list of safe places to surrender them, including shelters, rehoming initiatives and buy-back programs, to avoid future releases. This story first appeared in Rutgers Today.